vSphere is the most robust and sophisticated hypervisor product available today. It is the de facto standard for businesses, both large and small. This book—written for engineers and architects who plan, install, maintain, and optimize vSphere solutions—is the only one of its kind to concisely explain how to execute a successful vSphere architecture that's tailored to meet your company's needs. 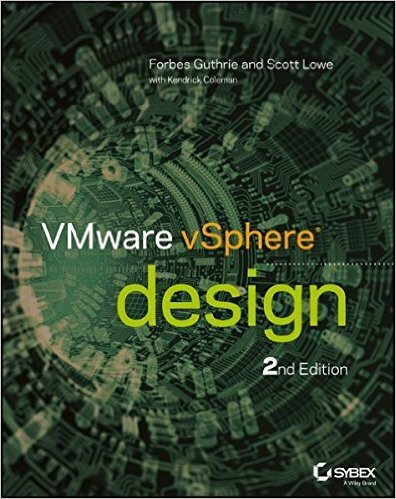 Expert authors share with you the factors that shape the design of a vSphere implementation. Which storage protocol is best for you? Should you build your vCenter as a virtual machine? Design your storage for capacity or for performance? This new updated edition reveals the design decisions that most companies face, explores the available options, discusses solutions—then helps you make the right choices. In addition to Datacenter Virtualization, this book also examines vCloud Director deployments. Forbes Guthrie, VCAP-DCD, (tweet @forbesguthrie) is a technical architect who specializes in virtualization and storage technologies. He is also a VMware vExpert and the creator of several popular virtualization reference cards. Forbes blogs at www.vReference.com. Scott Lowe, VCDX 39, (tweet @scott_lowe) is a technical architect at VMware. Scott is a VMware vExpert and the author of Mastering VMware vSphere 5. Scott also writes at blog.scottlowe.org, which attracts thousands of visitors daily.